I had a heated discussion with a few colleagues today revolving around how low of a voltage was alright for 12 volt lead-acid battery; they were in the opinion that the low voltage warning buzzer and ultimate automatic shutoff was annoying and a safety risk. I had one guy insisting that the batteries were 'fine' even when they had been seriously undervoltaged and you can throw pretty much anything at them. Another guy insisted his car battery had at some point been as low as 2 (!) volts and hey, he had no problems with it. I've always thought when boating that you never let your 12 volt battery drop under around 11 volts, so this very passive stance has confused me a bit. Is there data available to quantify a loss in lead-acid battery quality from low-voltage events? How much do I lose capacity-wise from a low-voltage event? I'm fairly certain I'm right but I need some data. Your point can be very easily made differently. This comes from Yuasa. They make the things. It's either reliable or optimistic, certainly not pessimistic. Let's look at the 12V one and optimistically assume that you are only interested in 0.2C discharge, any other rate the same arguments can be made with a different line. At its 12V mark, you can see there is a "tipping point" where the voltage goes from relatively constant to plummeting. At 11V it is almost going straight down. At 9V it will drop right away under the same loading current. This means that at the 12V point you have essentially used 60% of its capacity. At 11V you are at effectively 93%. At 9V you're at 99.5%. Now adding that a battery with 0V across it has no chemical initiative any more, of any chemistry type, you will need to motivate it re-create the chemical imbalance that causes the apparent voltage and potential for current to flow. This is hard in any battery (which is why almost all batteries are built with electrodes already chemically built of the right materials to create the cell potential). With SLA a lot of energy goes in chemical recombination of Sulphates and Sulphites, wasting a lot of energy. This results in needing excessive power to re-engage a cell that is left at 0V. Excessive power = heat. Heat = gassing. Gassing = moisture loss. Moisture loss = bad. Not to mention the higher voltage usually required makes many, many by-products on the plates, next to by-products already generated by neutering it in the first place and you're left with a AA battery with the weight and size of a 6Ah SLA. Now, if you go near 9V, it will become 0V very quickly. You'll easily be too late. Many manufacturers tell us "Consider your battery empty at 11.8V", some people (me included) assume 11V. Those who use 11V often (but not always) take care to know that this is the lower limit. This is exactly for that reason. If they will not accept that 100's of manufacturers, countless experts in the field and users alike say "at 11.8V you're not going to get much more out of it and it'll be risky to try", then just convince them with the fact that at 11V there won't be much to get any more anyway. Done. All other points moot. The reason a car battery can be dropped to 2V and then keep working, is because that battery was at 2V very shortly, because the idiot leaving his lights on realised after a while. And because they are usually over dimensioned by a factor of 2 to 5, depending on the type and brand of a car, so a crippled one will work for a couple more years. And let's be honest, are we really going to put hours and hours of work and research into convincing someone who can't even manage to mind his car lights of agreed fact shared between thousands of electrical engineers worldwide? (1) There are several distinct varieties of lead-acid: the 'starter battery' that's intended to very rarely be discharged very far, the 'motive battery' intended for gradual & deeper discharge, the 'standby battery' for UPS style operation where deep discharges are rare and so the cumulative negative impacts of such deep discharge is offset by the expected lifetime, and a new flavour that can operate in a partial state of discharge for long periods. They all have quite distinct characteristics in the fine detail. 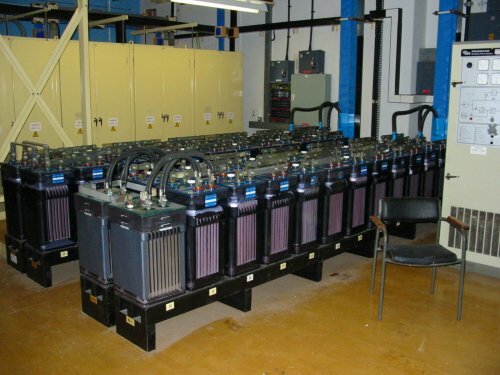 (2) The lead-acid battery industry is very competitive. Unless you've got some new patented chemistry to set you apart from the competition, then (a) you get what you pay for (in terms of quality), and (b) no manufacturer benefits from stating usage limits / recommendations below what is reasonable to expect a good service life from their products. Knuckle-draggers who say "Oh these things are bullet-proof", or "I ran this b**ch down to 2.5V and it still works fine!" usually aren't the ones who have to cough up hundreds/thousands of their own $ when the batteries "mysteriously" don't last the several years that they should. These are the people who are also responsible for batteries having short warranties, because it can be difficult to prove that a customer mis-used a battery outside of published limits (without having elaborate monitoring electronics built in to record & prove it). The manufacturer's datasheet is king, and your application must be matched with a battery intended for that use case. Your colleague's three datapoints of personal experience are worthless, at least in the context of battery longevity (& who has to pay for premature replacement). A major factor to consider with multi-cell batteries is that damage caused by under-voltage will be concentrated on the weakest cell, but the performance of that weakest cell will be generally the limiting factor with regard to the performance of the pack as a whole. If all six cells of a 12-volt pack are equally good, drawing its voltage down to 9 may draw all six cells down to 1.5 volts without significantly damaging anything, but if one of the cells is weaker than the others, drawing the pack voltage down to 9 may result in the weak cell's voltage being drawn down to 1.0 volts while the other five cells are at 1.6. If that's done a few times, the weak cell may become even weaker, such that its voltage drops to nothing while the other cells are still at 1.8. In cases where a multi-cell battery pack is used for purposes of storage capacity rather than current-handling ability, I would suspect that a battery pack with electronics to draw more current from stronger batteries could yield better lifetime behavior than one which simply wires cells in series, but I'm unaware of such designs being commonplace. Nonetheless, it's important to note that in multi-cell batteries, the damage caused by under-voltage conditions will increase as the difference between stronger and weaker batteries increases, and that difference will be increased as a result of such damage. If you need guaranteed performance, follow the manufacturer's spec. You can "get away with" all sorts on a car battery because you are not ever likely to reach its limits - typically they last for years, maybe if you discharge it to 2v you'll get away with it and it'll keep on starting your car under normal conditions for another 5 years, but that does not mean you didn't shorten its life by a year, or that if you drove to Alaska in winter it would still work, or that if you discharged it to 2v a few more times it wouldn't curl up and die. But as a consumer, you'll just shrug and buy a new battery, or have sold the car by then. You can get away with a ton of stuff in everyday consumer life, but if you are trying to guarantee some performance of your device/product you can't break the rules (unless you're damn good) - this is why all those backup batteries got changed: They would probably still work fine to ~90% of the spec, but when the power goes out on a winters day 3 years from now, and that over-spec discharge event has pushed the batteries too far down the curve, and instead of having the specified 30 minutes in hand to get the power restored, the equipment unexpectedly goes offline 10 minutes early, crashes the network, and puts the whole system down for a day because the restore-from-dead situation is 10x worse than the "controlled shutdown" you're going to look like a right prat, and someone's lawyers are going to be knocking on your door. Any battery manufacturer worth their salt will be able to tell you this data (and guarantee it), if they can't then don't be using their stuff for ANY critical application. As a side note: Military vehicles get their batteries changed way more often than Joe Public's car battery for exactly the same reason - when you're being shot at on a wintry day you need to be able to crank your troop carrier into life 1st time guaranteed, not take a few tries with a bit of a rest in between. And if they got cycled too deep, they would ALL get changed out. No question. Both sources were found thanks to comments from Hot Licks and Nick Alexeev. Other answers have excellent information but they don't answer the question directly. I have experience with well over ten thousand batteries. Under Voltage batteries destroy the battery by causing sulfation in Lead Acid Batteries, or Dendrites in Lithium. Both are very destructive. People who say that the battery can handle it are really saying that their battery is a better quality battery than usual. However, draining batteries lower than their nominal voltage is destructive and still hurts the battery. You will eventually see the battery die more quickly. Removing a voltage cut-off is extremely foolish, because you should NEVER use a battery under voltage if you want the battery to last. The MOST costly thing you can do is leave a battery under voltage, the second most costly is to get it under voltage to begin with. It is not designed to operate outside of it's parameters and will shorten the life drastically. 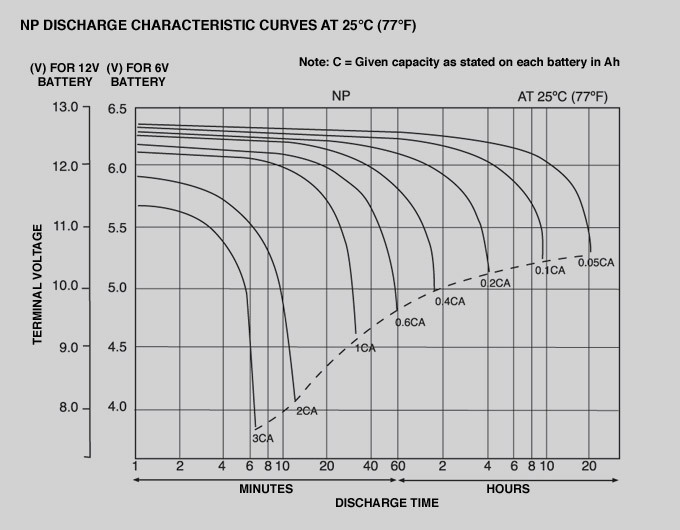 You don't need a chart to understand that batteries will die more quickly when you discharge them too deeply. Just be foolish enough to overly discharge your batteries and you will soon find out. What normally kills brand new batteries fast is to have them discharge and leave them standing for weeks or months in depleted state. That is the typical fate for most "recreational" batteries. They become unattended. A few disaster discharges followed by a charge and the batteries will still be cooperative, but do not ever leave discharged motorcycle or car batteries for later care. You notice battery cells become sulphated when the battery voltage can be driven high and battery receives no current. Typically a healthy and slightly discharged 12V 70Ah battery drops to 15-20 Amps after a few minutes at 14.4V chharging. When sulphated You can apply 15-30V and barely no current flows at all. Then you are in trouble. If you have a current limited power supply you can torture batteries and fry them on higher voltage with the current limit set to maybe 0.01 of the capacity. If/when the battery starts to draw some current you have plenty of time before it is fully charged. Normally when heavily sulphated you can possibly postpone bying a new battery, but it will never be as new. 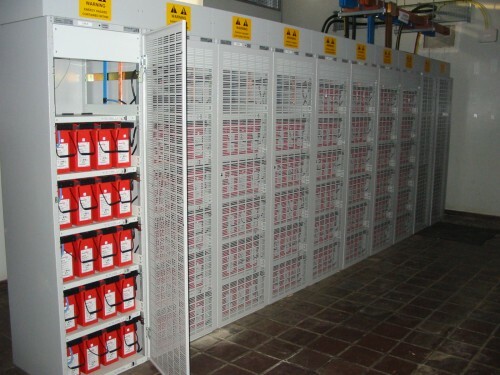 Lead-acid batteries are like pets - they behave in accordance with how they are treated. Some years ago I've bought this scooter with a dead 6 V Bat; only started with pedal kick. Placed bat in a controlled recharger: 6V times square root 2, roughly 8.5 V. It was a 4AH, so regulated (tried) charge at 10%, thus 400mA; but as bat was dead, had to increase voltage up to 10 or 12V (can't really remember) untill those 400mA could be achieved. At this point, had to monitor liquid inside cells and charging current; almost every 20 minutes or so, had to decrease voltage to obtain correct charging current. Eventualy reached a point where could have 400mA with corredct charging voltage (8.5 V) and always monitoring electrolite in cells. Then, let it sit charging for 14 hours. It became as new. Guess that excess voltage was needed to "break" bad salts in electrodes. Those collegues of mine (electronic professionals) gave these instructions and from that point, always used those references: Square root 2 times bat voltage, at 10% mA for 14 hours. Not the answer you're looking for? Browse other questions tagged lead-acid undervoltage or ask your own question. Lead-Acid battery discharged to 5V - how much damage?